Who is the Lounge Wizard? The Lounge Wizard is a practicing clinical psychologist in California’s Silicon Valley. He is Dr. Andrew Gottlieb. Dr. Gottlieb is a licensed Clinical Psychologist whose expertise focuses on provision of short term and longer term Cognitive Behavioral Therapy (CBT). His training includes a B.A. at Yale College, a Ph.D. at the University of Washington, an internship at the Palo Alto Veterans Administration Hospital, and a postdoctoral fellowship at the Stanford Medical School where he specialized in Health Psychology and Cognitive Behavioral Techniques. 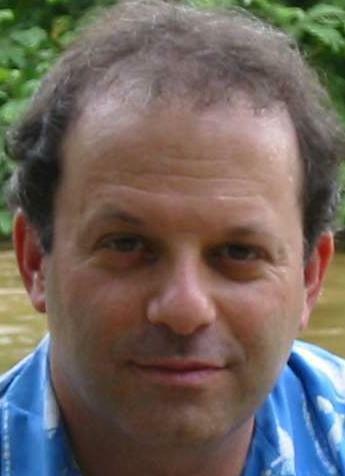 Dr. Gottlieb works collaboratively with his clients, applying short term strategies for dealing with life difficulties including: stress, anxiety, depression, obsessive compulsive disorder (OCD), marriage and couples problems, as well as a broad range of other issues facing adults and older adolescents. Dr. Gottli eb understands that couches and psychoanalysis are for those who have lots of time to solve their problems…and let’s face it, not many of us have the time or money to devote to traditional psychoanalysis. Getting focused treatment for specific life difficulties results in long-term changes that bring a greater degree of happiness and balance to our lives. Cognitive Behavioral Therapy (CBT) is a modern, scientifically-based treatment approach that is scientifically proven to be effective with a number of problems such as anxiety, depression, OCD, and other issues. Dr. Gottlieb has worked in private practice helping people for more than twenty years, and has trained hundreds of professionals in providing cost-effective counseling skills. Additionally, he has served as a consultant for Kaiser Permanente Health System, the Stanford Pain Medicine Clinic, and many other behavioral health organizations. If you are interested in working with Dr. Gottlieb, or having him lecture or teach, he can be contacted through his main website, www.CambridgeTherapy.com.